On the 31st of December, being, as I had long been, in an extreme ill state of health, unable to rise from my bed, I was carried out of the Tower to the presence of the Lord Chief Justice of England, and admitted to bail “to appear at the court of king’s bench on the first day of Easter term, and not to depart thence without leave of the court. Laurens immediately sent for his daughters to join him from France in London. He then went for several weeks to recuperate with the waters of Bath. Tower of London; Laurens marker. Photos by Mark R. Jones. In possession of a fairly good education – was able to read and write, and to speak with fluency the French and English languages … [and had] obtained a wealth of valuable experience. At that time, the total free black population in South Carolina was 3,185, the majority of them being of mixed race ancestry – called Browns. After being a dark-skinned slave for seventeen years in Charleston, Denmark, at thirty-three years of age, entered the 19th century as a free black man. You will apply to the defense of Charleston the same principle applied to that of Savannah – that is, defend it as long as compatible with the safety of your forces … The fall of Charleston would necessarily be a terrible blow to the Confederacy, but its fall with the loss of its brave garrison would be still more fatal to our cause. Whereas the late Printer of this Gazette hath been deprived of his life by an unhappy accident. I take this Opportunity of informing the Public, that I shall contain the said paper as usual; and hope, by the Assistance of my Friends, to make it as entertaining and correct as may be reasonable expected. Wherefore I flatter myself, that all those Persons, who, by Subscription or otherwise, assisted my late Husband, on the prosecution of the Said Undertaking, will be kindly pleased to continue their Favours and good Offices to this poor afflicted Widow and six small children and another hourly expected. 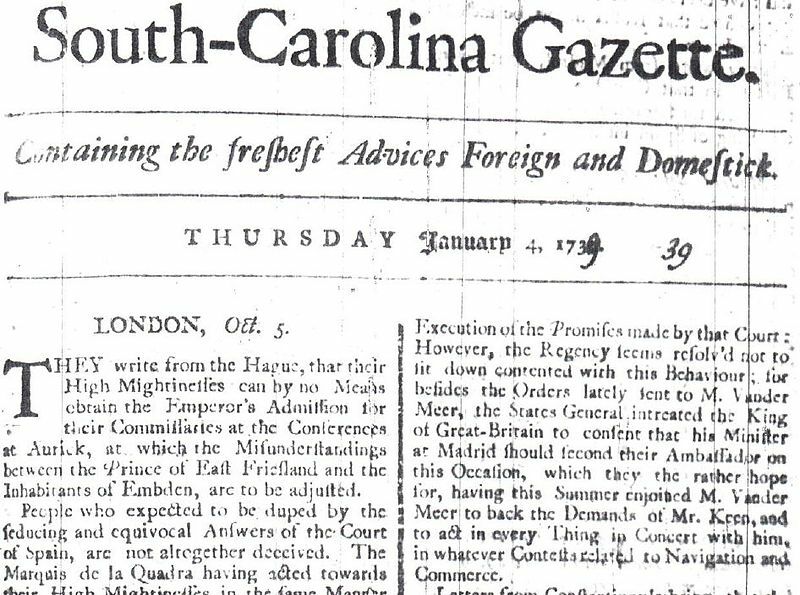 She published the weekly issue of the South-Carolina Gazette starting with January 4, 1739. 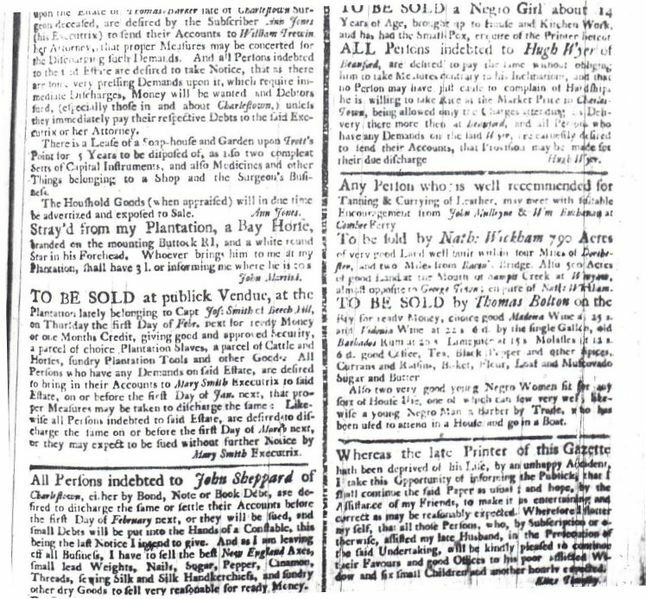 The masthead said “Printed by Peter Timothy” but was controlled and managed by his mother. Timothy made an announcement in the first issue she edited that she was now publishing the newspaper. This made her the first female editor and publisher of a newspaper in America. Religion. The Catholic Church in Rome created a new Archdiocese out of the Carolinas and Georgia. The newly consecrated Bishop John England arrived in Charleston. He discovered that conditions were most uninviting and unpromising in the new diocese, with Catholics scattered in little groups over these states. 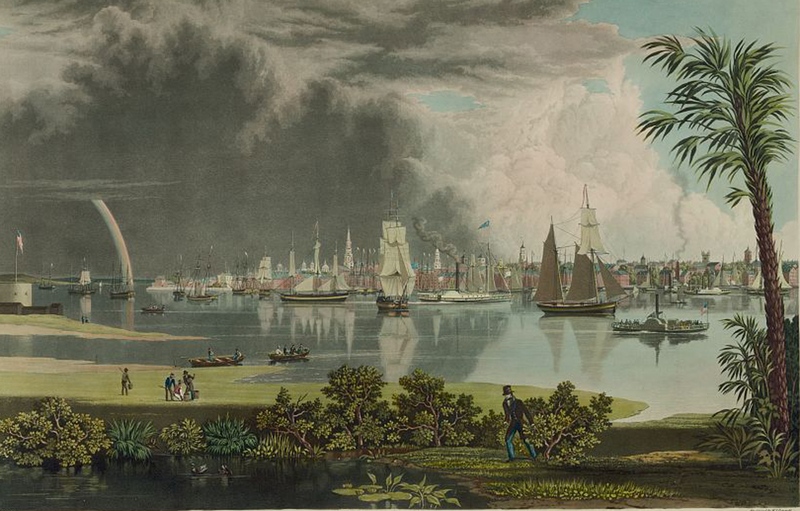 Most of the few in Charleston were very poor immigrants from Ireland or ruined refugees from San Domingo and their servants. Future mayor John Patrick Grace was born in Charleston. He grew up on Society Street and attended the High School of Charleston. All four of his grandparents were natives of Ireland. 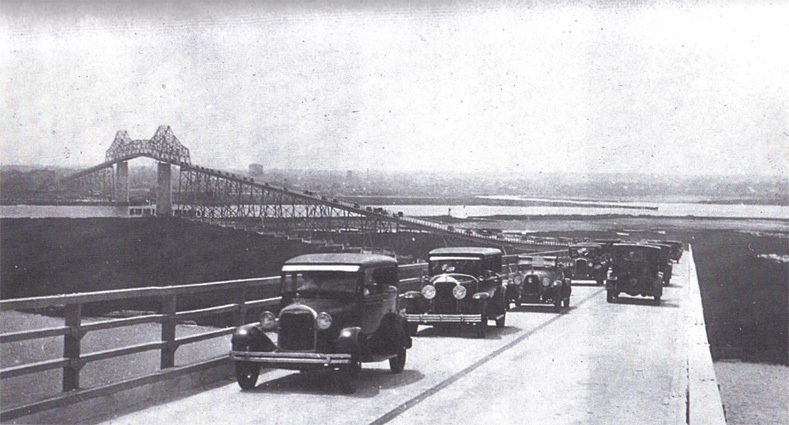 His most lasting accomplishment as mayor was the construction of the John P. Grace Memorial Bridge, which spanned the Cooper River to connect Charleston and Mt. Pleasant. It replaced the ferry system had been used to that point and opened in 1929. The British captured Savannah, Georgia, giving them a strong base to build up a land force in the South. It placed South Carolina and Charlestown, directly in the sights of British troops. Savannah Marker, photo by author. Joel Poinsett of Charleston arrived in Santiago, Chile. President James Madison had appointed him as Consul in General to investigate the prospects of the revolutionists in Chile and Argentina, in their struggle for independence from Spain. 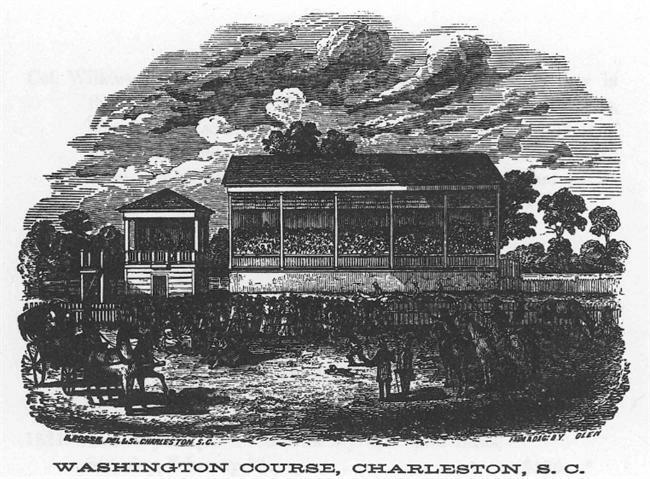 Read this great on-line manuscript about the Jockey Club. The Charlestown Library Society was organized by seventeen young gentlemen of various trades and professions who wished to avail themselves of the latest publications from Great Britain. At first, the elected librarians safeguarded the Library’s materials in their homes. From 1765 until 1778, it resided in the upstairs of Gabriel Manigault’s liquor warehouse. In 1792, the collection was transferred to the upper floor of the Statehouse, currently the County Courthouse at Broad and Meeting. From 1835 until its 1914 move to the current King Street location, the Charleston Library Society occupied the Bank of South Carolina building at the corner of Church and Broad Streets. That building was paid for with “Brick” memberships, a permanent membership for a one-time lump sum: several of these memberships are still in use, generations later, by Charleston families. The city of Charlestown is in every respect the most eminent and by far the richest city in the Southern District of North America; it contains about 1500, and most of them big houses, arrayed by straight, broad and regular streets; the principal of them is seventy-two feet wide call’d Broad Street, is decorated, besides many fine houses, with a State house near the centre of said street, constructed to contain two rooms, one of the Governor and Council, th’ other for the Representative of the people, the Secretary’s office, and a Court room; opposite the state House is the Armory-house, item St. Michael’s Church, whose steeple is 192 foot high, and seen by vessels at sea before they make any land; also with a new Exchange on the east end of said street upon the bay; all four buildings have been rais’d since the year 1752, an no expense spared to make them solide, convenient and elegant. The city is inhabited by above 12,000 souls, more than half are Negroes and Mulattoes; the city is divided in two parishes, has two churches, St. Michaels and St. Philips, and six meeting-houses, vid, an Independent, a Presbyterian, a French, a German and two Baptists. There is also an assembly for Quakers, and another for Jews, all which are composed of several nations. John C. Calhoun resigned as Vice President to take Sen. Robert Hayne’s vacated seat in the U.S. Senate. It was a coordinated political move as a response to the Nullification Crisis and perceived heavy Federal hand of Pres. Andrew Jackson. … should you capture Charleston, I hope by some accident that the place be destroyed, and if a little salt should be sown on the site it may prevent the future growth of nullification and secession. William Johnson was born in Charleston. He would later serve as an associate justice of the U.S. Supreme Court. His father, William Johnson, was a revolutionary, and deported by Sir Henry Clinton to St. Augustine with other distinguished South Carolina patriots. [His mother, Sarah Johnson, née Nightingale, was also a revolutionary. During the siege of Charleston, she quilted her petticoats with cartridges, which she thus conveyed to her husband in the trenches. 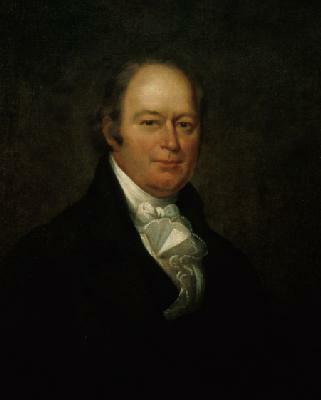 The younger Johnson studied law at Princeton and graduated in 1790. He read law in the office of Charles Cotesworth Pinckney before passing the bar in 1793. Johnson was nominated to the U.S. Supreme Court by Thomas Jefferson on March 22, 1804, to a seat vacated by Alfred Moore. He was the first of Jefferson’s three appointments to the court, and is considered to have been selected for sharing many of Jefferson’s beliefs about the Constitution. Johnson was the first member of the U.S. Supreme Court that was not a member of the Federalist Party. Johnson’s Row, 22-28 Queen Street, Charleston. Photo by Brian Stansberry. Johnson’s Row in Charleston on Queen Street, is named after him. altho not equal in criminality to the Proceedings in other Colonies, can yet be considered in no other light than that of a most unwarrantable insult to the authority of this Kingdom. The Douglass Company opened the last theatrical season until after the Revolution in a newly constructed theater on Church Street (the Dock Street Theater had been destroyed in the 1740 fire). The Company performed seventy-seven plays and farces. I have always disliked those stupid Garnishings of No. 45, Wilkes and Liberty and drinking 45 Toasts to the Cause of true Liberty 450 Times unnecessarily. 1779 – The Seige of Charlestown. 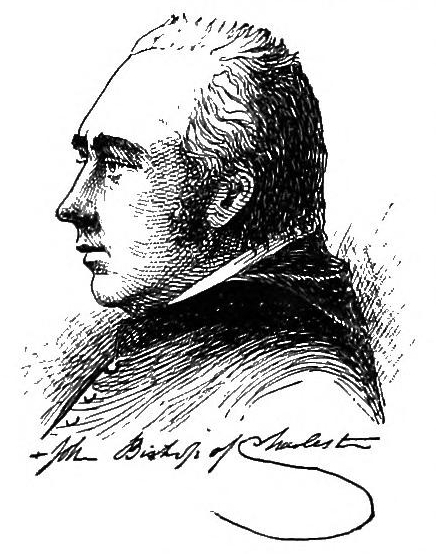 Sir Henry Clinton, British commander, left New York City with a fleet of over 100 ships to transport 8700 men, horses and other supplies to attack Charlestown. 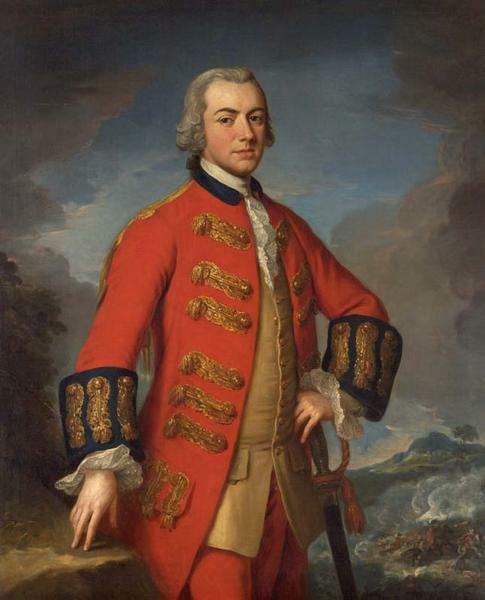 Second in command of the force was Lt. General Charles Cornwallis. At sundown, December 26, 1860, Major Anderson of the First U.S. Artillery Regiment, in command of the U.S. garrison at Fort Moultrie in Charleston harbor, ordered his men to pack everything and prepare to move to Fort Sumter within half an hour. The 55-year old Anderson had assumed command the previous month of two companies of the First Artillery and the regimental band, a total of 84 officers and men. Anderson enters Fort Sumter under cover of darkness. Harper’s Weekly illustrations, courtesy of Library of Congress. Three miles away in Charleston, Christmas celebrations were still taking place in many of the homes. Over the next hour, taking advantage of the holiday laxness and the cover of darkness, the entire garrison relocated from Ft. Moultrie across the narrow channel to Fort Sumter. As they were leaving, a small detachment spiked the cannons, burned the gun carriages that faced Fort Sumter and cut down the flagstaff. Spiking the guns at Fort Moultrie. Harper’s Weekly illustration, courtesy of Library of Congress. 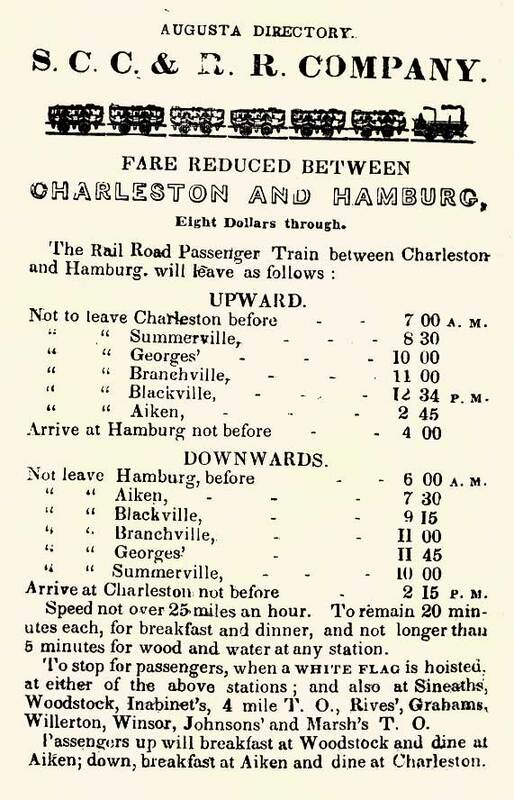 The first regularly scheduled passenger train in America pulled away from the Line Street station, Charleston, South Carolina at 8:00 a.m. Nicholas W. Darrell operated the locomotive as engineer for the 10-mile round trip from Charleston to San Souci and back. The trip was described a writer, Jockey of York. Away we flew on the wings of the wind at the speed of 15 to 25 miles per hour, annihilating time and space … leaving all the world behind. It was nine minutes, five and one fourth seconds since we started and we have discovered ourselves beyond the forks of the State and Dorchester Roads … We came to San Souci in quick time. Here we stopped to take up a recruiting party, darted forth like a live rocket, scattering sparks and flames on either side, passed over three saltwater creeks, hop, step and jump and landed us all at the Lines before any of us had time to determine whether or not it was prudent to be scared. More than 140 passengers took the first trip, riding in two cars. During the first day, the Best Friend carried more than 500 people. Truly, it was one of the most wondrous Christmases in Charleston history. 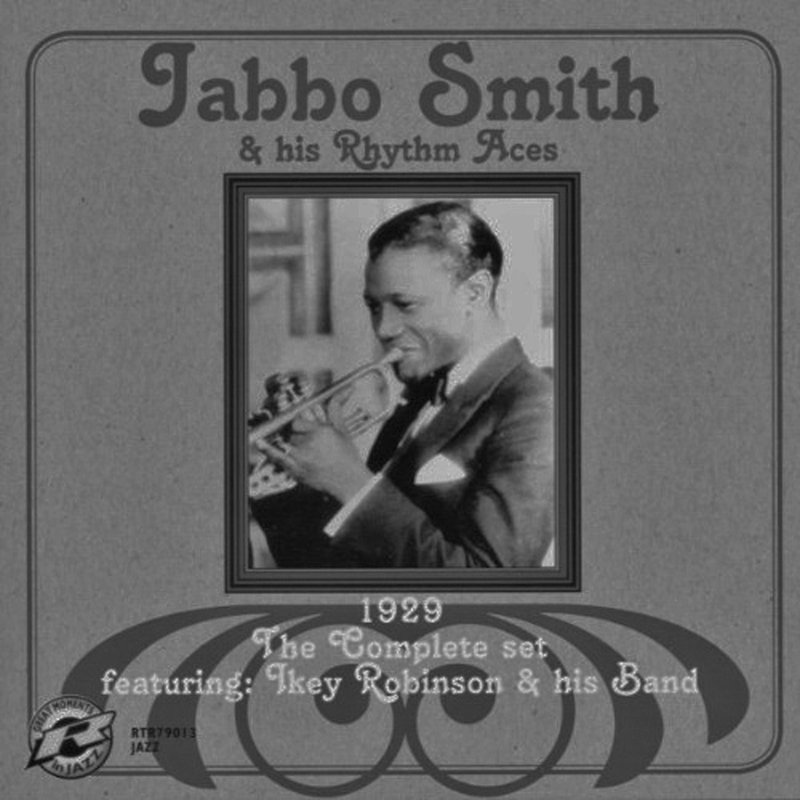 Jabbo Smith was born in Pembroke, Georgia. He grew up at the Jenkins Orphanage in Charleston and became one of the major figures in the Jenkins Band. By age 17 he was playing with the Paradise Orchestra at Smalls Paradise and being called “the hottest trumpet player in New York.” Due to excessive living, his career burned out by the time he was thirty, but to this day, his 1920 / 30s recordings are considered ground-breaking jazz music.